Garmin 10' Transducer Extension Cable for 4-Pin Transducers. 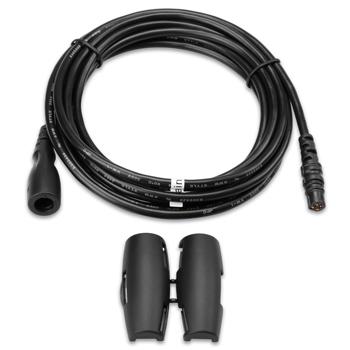 Garmin 3M (10FT) Transducer Extension Cable for connecting 4 pin transducer to compatible Sonar units. Compatiable with Garmin Echo 100, 150, 200, 300c, 500c, 550c, echoMap 43dv, 44dv, 53dv, 54dv, echoMap CHIRP 42/43/44/45/52/53/54/55 Series, STRIKER 4,5 and 7 series and GT-20 4-Pin Transducer.